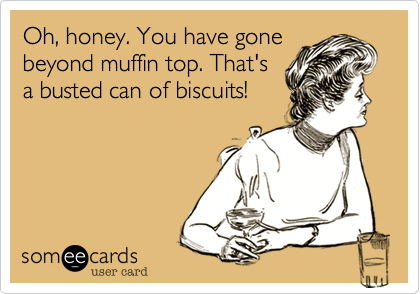 BiblioBags: Where Every Purse has a Story...: UPDATE: Muffins are a sometimes food. UPDATE: Muffins are a sometimes food. A post or two ago, I shared a recipe for "Healthy Carrot Muffins." I don't weigh myself often for psychological reasons. I usually ignore my weight at the doctor's office as well. The other day, I weighed myself on a whim (no, that's not a new kind of scale). In just under two months, I had gained 7 pounds. Not. Cool. My mind raced to figure out what went wrong. Suddenly, it hit me. Not my beloved healthy muffins! There are more carrots than any other ingredient! But there were other ingredients. White flour and brown sugar to be exact. Apparently, I can't eat 3-4 muffins a day without the white flour or brown sugar settling in my hips. Boo on weight gain. I've found that since surgery I have to be a million times more careful about what I eat. I gained almost ten pounds and it's been slow coming off.